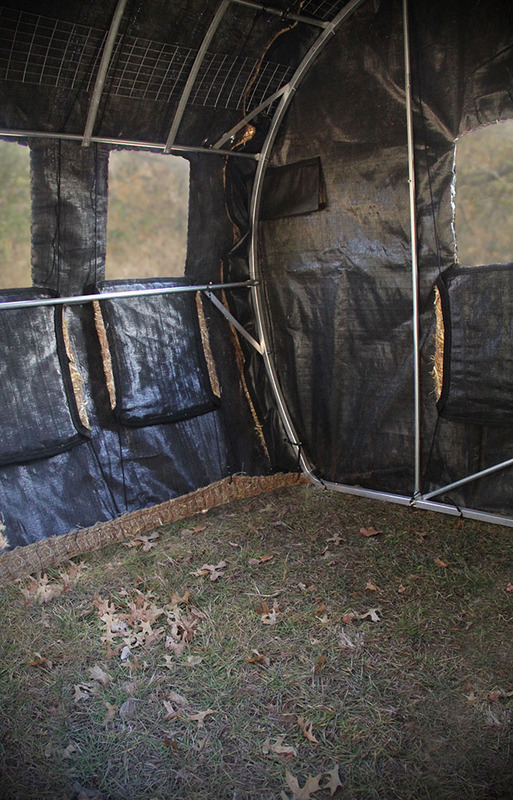 The Sportsman Bale Blind is the perfect 2 person ground blind to use whether you are big game hunting, turkey hunting, predator hunting, scouting, or just want a dry, comfortable place to enjoy and film nature. Deer, turkey, and other animals adapt almost immediately to the blinds when set up. 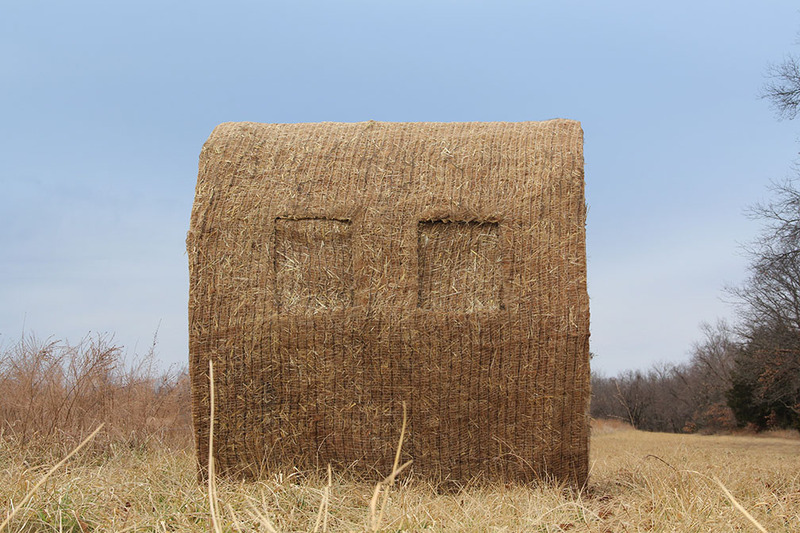 Even in areas where they are not used to seeing hay bales there is something about the natural material and shape that do not make wildlife nervous. 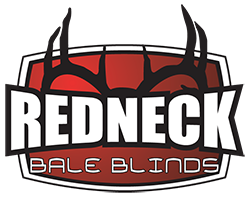 Customers repeatedly tell us they put the blind up in the morning and literally have deer and other game coming within range by the afternoon. 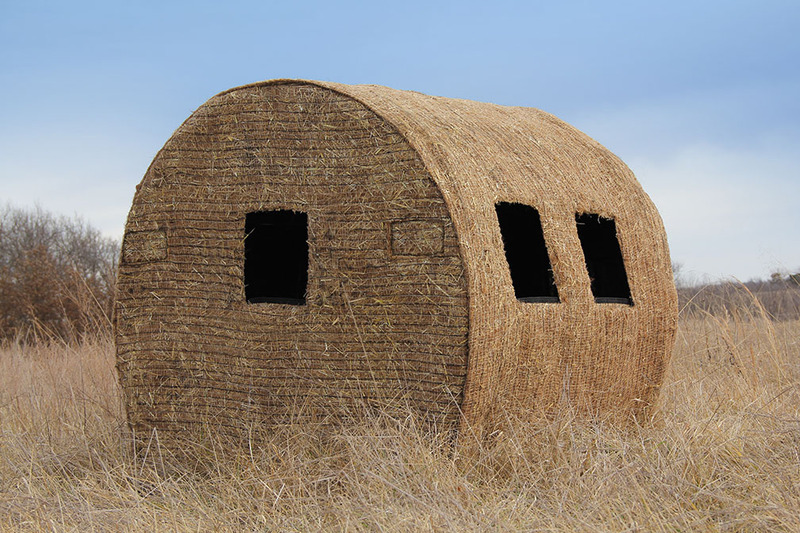 The Sportsman hay bale blind is strong, lightweight, easy to move and can be left outside all season long under the harshest conditions. The strong metal frame is built to withstand heavy snow loads and strong winds. 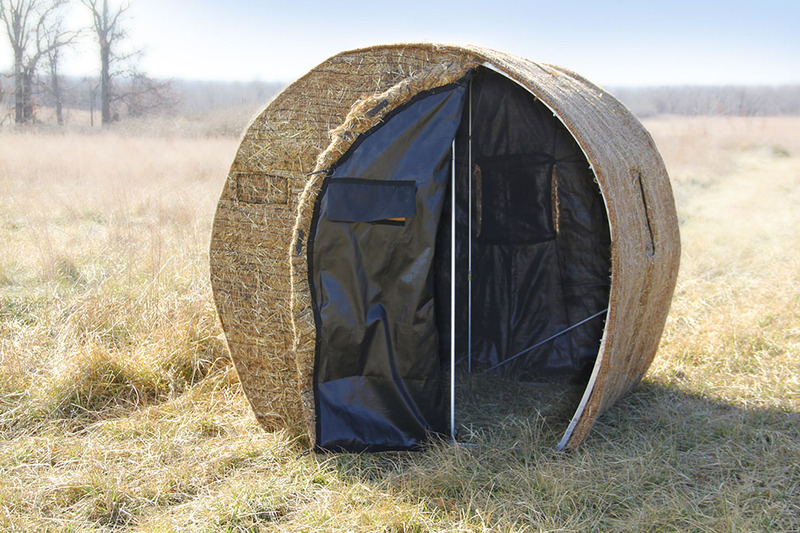 The durable hand sewn natural cover can last approximately 3 years when left outside year round. It is replaceable. The cover can easily be removed in just a few minute for off season storage that will more than double the life of your cover. Replacement covers are available.